Happy Saturday! 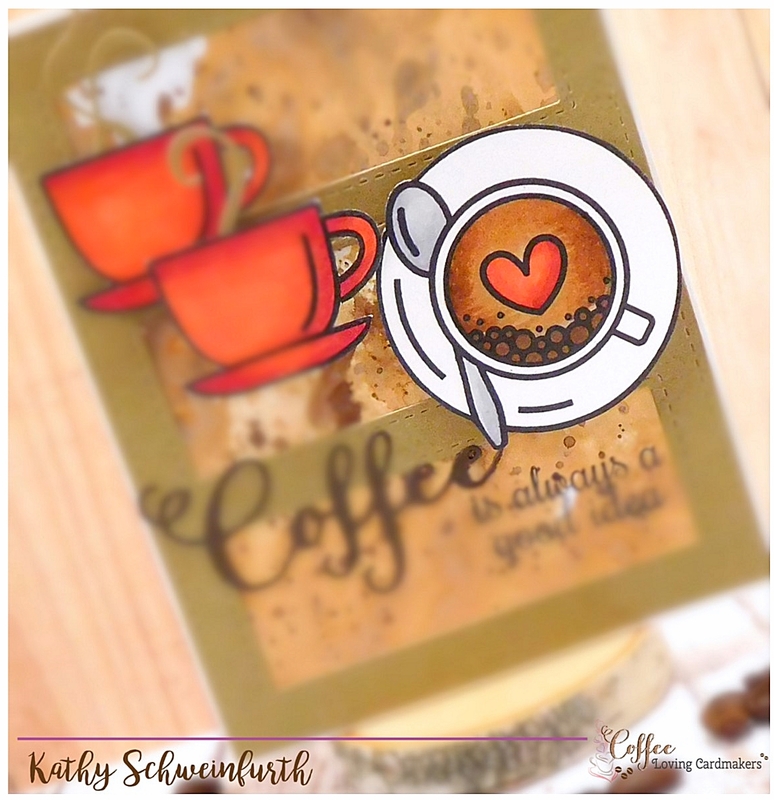 The Café is open on the Coffee Lovers Cardmakers blog and I’m really glad you stopped by! For my card, I started by creating a background with distress oxide inks. I cut kraft cardstock with Mama Elephant’s Tri Window Cover die. 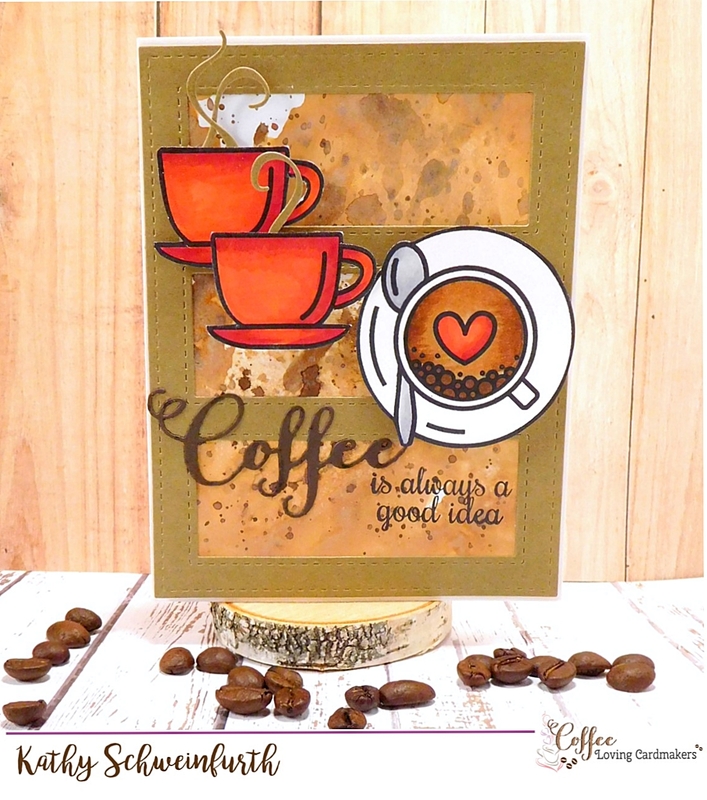 The fabulous coffee cup images are from Honey Bee Stamps Coffee Break. 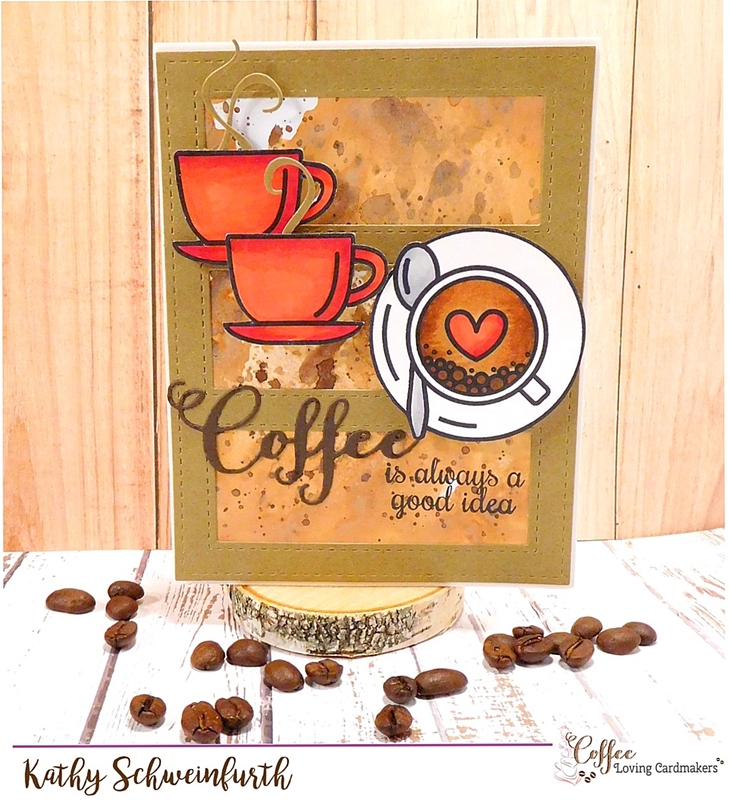 I used Verve Stamps ‘coffee’ word die and a sentiment from SugarPea Designs Caffeine Addict to finish. Thankfully, I was (and still am) fully fueled on caffeine, because coffee IS always a good idea when you gotta get ‘er done. The café would not have been open today, nor the perfect baby shower gift would have come together, otherwise!! Lots of pink tissue wrapping and love! Such a fabulous card, Kathy! Love the background and the bits of steam. And your shower gift is postiviely adorable.